Every owner of a diesel car wonders how to extend the life of a DPF filter. Its replacement is very expensive. If you decided to regenerate, you wish the intervals between regenerations are as long as possible. That’s why it’s worth using a few tricks. The purpose of the DPF filter is to purify exhaust fumes from soot and other deposits before leaving the exhaust system. Therefore, the quality of exhaust gases has the greatest impact on the clogging of the DPF filter. The more we help the combustion process, the cleaner the exhaust will go to the exhaust system, and the DPF filter will last longer. An oil itself is not the most dangerous, but the ennobles added to it. On the one hand they protect the engine, but always some part of the oil gets into the combustion chamber. In cars with a DPF filter it is advisable to use low ash oils. Thanks to them, less sulphate ash is formed and the filter clogs more slowly. And remember, the soot can burn in the process of automatic filter cleaning but the ash settles in it permanently. Exemplary markings on car oil’s packages are: LowSASP, DPF, Class C in ACEA classification (C1 and C4 is low SAPS, and C2, C3 and C5 is medium SAPS) or Emmision System Protection. There are also MB 229.51, 507.00 and BMW-LongLife-04 standards. Passing the oil into the exhaust system through a damaged or worn turbocharger is suicide for a DPF filter. The oil creates a so baked residue in the ceramic cartridge that it can not be removed. Therefore, it is not worth saving on this element and replace it or regenerate at the first incorrect symptoms or every 100,000 km. What’s more, these are elements dependent on each other. A clogged DPF filter causes a higher load on the turbocharger. In addition, extinguishing the car during the after-burning of the filter results in the depletion of additional fuel to the engine oil. Such diluted oil badly affects the engine seals, and especially on the sensitive turbocharger. Worse lubrication can lead to damage. If you have noticed a cloud of soot that exits the exhaust system every time you press the gas and the engine has lost power, you may suspect an Exhaust Gas Recirculation valve malfunction. Normally, it is responsible for reducing the concentration of nitrogen oxides in the exhaust. It diverts exhaust gases back to the combustion chamber, where a repeated chemical reaction reduces their content. Only then the exhaust go to the exhaust system. A worn valve immobilized in the open position by the carbon deposits causes the inferior air mixture to flow into the combustion chamber at all times. Thus, the combustion temperature decreases. Reaction products have more soot, which did not have a chance to burn out. As a consequence, the DPF filter is blocked faster than it has the possibility of self-cleaning. The car can be tuned cheaply or well. During cheap tuning is used poor quality boxes that generate large amounts of soot in the exhaust. On the other hand professional services focus on quality and after the assembly perform smoke tests. 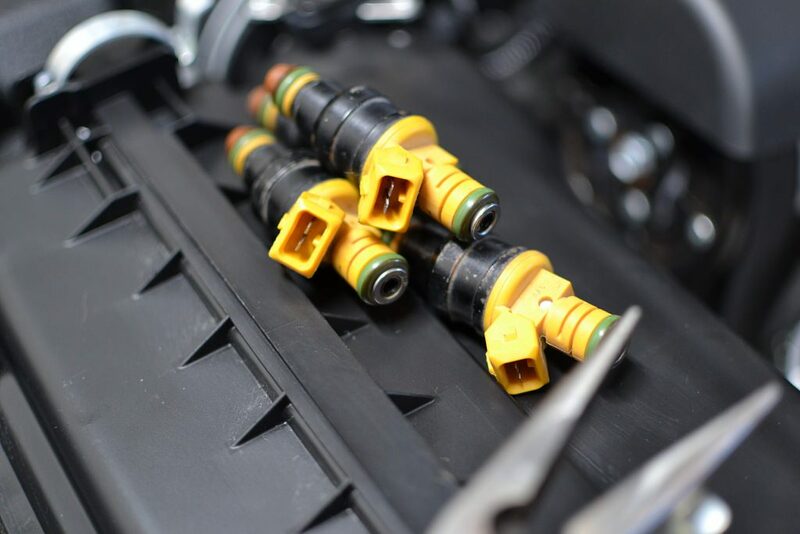 Injectors are responsible for the uniform spraying of fuel and the quality of its combustion. If they are consumed, the combustion process is not going well and huge amounts of soot are produced. The filter needs chemical regeneration every month or two. Unfortunately, it is not a cheap item to replace or repair fuel injectors, sometimes it is even several thousand zlotys. There are also two other ways for a longer DPF life, although they have less impact. First of all, you should take care of the good quality fuel and the regular replacement of the air filter. What we pour into the tank has an effect on what goes out of the exhaust system. By using oil purchased non-official, from truck drivers or agricultural machinery, you can quickly clog the filter. Modern filters require fuel with specific parameters and composition, e.g. sulphur content. 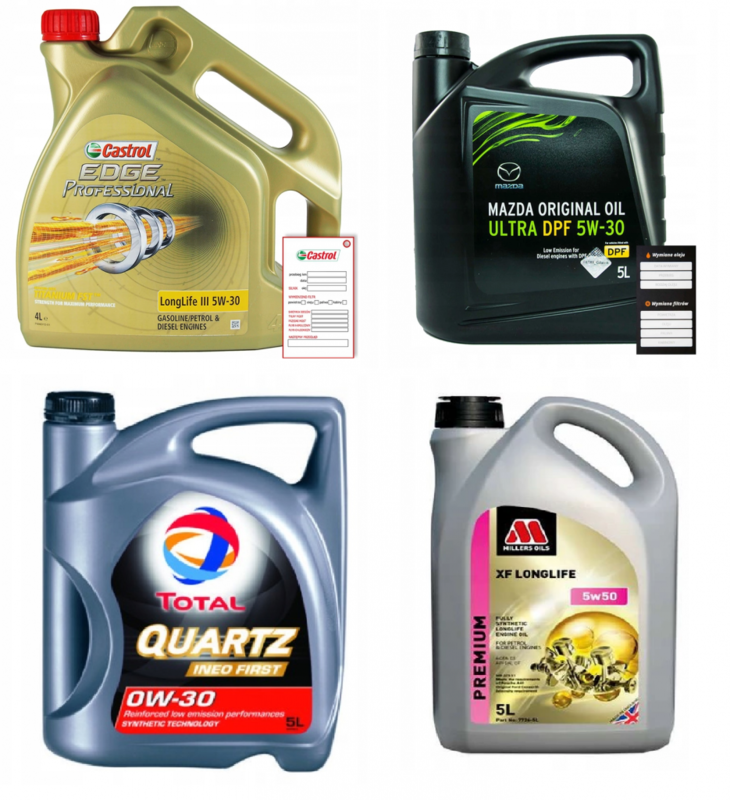 Another option is to use fuel additives, eg Liqui Moly diesel-partiklefilter Schutz. The air filter should be replaced at every periodic inspection, especially since it is not expensive investment. In case of a blocked filter, less air comes to the intake system. This, in turn, affects the combustion process and influences increased formation of soot. Keeping the car in good condition should guard against failures and extend the life of the DPF filter. You should remember that the exhaust system has many components and exhaust accessories that are interrelated. As soon as possible, removing the defect of one element will prevent accelerated destruction of the others.